When it comes to maintaining the health and beauty of our smile, everybody has their own little rituals and quirks. Someone may brush more or less than three times each day. People may use different kinds of dental floss, or they may not floss at all. They may prefer to use some refreshing antimicrobial mouth wash instead. There are different kinds of toothbrushes to choose from, some of which you can see here: http://dentalhealthgroup.ca/different-types-of-toothbrushes-finding-the-best-option-for-you/. 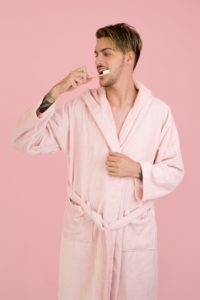 However, if you are looking for the optimal dental hygiene practices that will boost your oral health, there are a few tried and tested strategies to consider. We did a little research on what the various experts recommend, and what these recommendations have in common. Read on to find out what we discovered! To get your time in, brush your teeth to music! The optimal amount of time to spend brushing your teeth is about three minutes, but certainly a bare minimum of two. You can read a bit more about that at this link. Two or three minutes is just enough time to reach all the areas inside the mouth and properly scrub off all the troublesome bacteria and tiny food residue. However, most people these days will brush their teeth for less than one minute, which is nowhere near enough to actually achieve anything. This temporal dichotomy is completely understandable – we tend to subjectively perceive a given span of time as either much longer or much shorter than it actually is. 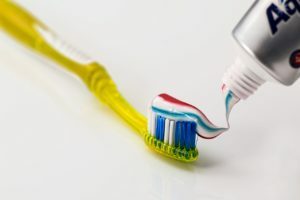 Also, since many of us brush our teeth in the morning or evening, when we are busy or tired, respectively, it is quite easy to misperceive the length of our brushing. Luckily, there is a really simple trick to help overcome this: music. Simply play some music during your hygiene sessions! 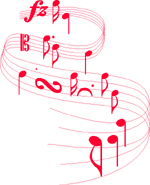 The average length of one song is about three minutes, which gives you a perfect timer to keep yourself in line. It can also be a creative boost to your routine: play something upbeat for a morning burst of energy, or something calming in the evening after work. This is something that all experts, from the local Greenbelt family dentist to the world-renowned American Dental Association and the British Dental Association, as well as all amateurs such as the local herbalist and everybody’s grandmother, can unanimously agree on! Tobacco is the most notorious enemy of teeth out there, and it leads to periodontal issues such as oral cancer. Moreover, the things that people typically use to mask the tobacco odour inflict even more damage on their teeth. Sweets, tea, coffee, and chewing gum (which contain various artificial sweeteners) will in fact double all the damage that the tobacco had already inflicted. In close second place, fizzy drinks and alcohol deserve to be kicked right out of your fridge at once. Both contain significant amounts of phosphorus, an overabundance of which depletes the calcium in your body, and this in turn contributes to gum disease and tooth decay. Although some amount of it is necessary for keeping your bone structure healthy and strong, phosphorus overload accelerates cavity formation. Some teeth-friendly and equally delicious alternatives include nuts, fruit, cheese, vegetables, and chicken, so why not browse online for some quick and creative snack recipes? Be even more careful of when you eat and drink. Maybe you need some fuel for the brain when you are pulling an all-nighter? 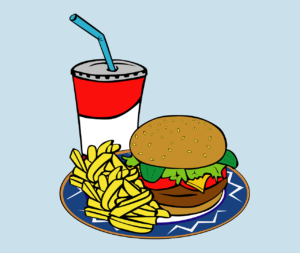 Whatever your reason, remember that a late-night snack is effectively a second dinner. When you have brushed away all the residue food and bacteria from your teeth after the last meal of the day, you ought to keep it that way. Even if they do not “feel dirty” under your tongue, a snack will leave your teeth covered with a fresh layer of food debris – perfect fuel for bacteria. Click here to learn what happens when you fail to brush your teeth before bedtime. Even if you are mindful to insert the full two or three minutes of brushing into your daily routine, it will do you little good if you are not using the proper kind of brush. Each person’s teeth and gums are different than the next, meaning that everyone has their own set of requirements. Someone may need more gentle bristles, while someone else could be in desperate need of a proper tongue scrubbing addition. A general rule of thumb is to look for a toothbrush with a small or medium-sized head, to make sure it can reach far enough into all the nooks and crannies where food debris tends to gather. 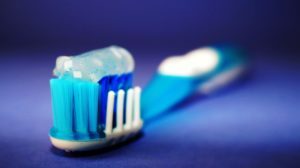 Whilst there is probably no disagreement amongst health professionals about the above tips, the issue of alcohol and fluoride in the oral hygiene products you use are somewhat more contentious. For example, some mouthwashes contain alcohol. This has always been a concern for complementary therapists as they say this makes the product carcinogenic, although the NHS and the majority of dentists believe the low levels of alcohol in mouthwash are quite safe. However, there are an increasing number of alcohol-free mouthwashes now available. Similarly, almost all dentists and most conventional medical professionals are strong proponents of fluoride which, they believe is essential in reducing tooth decay. Indeed, fluoride is in most toothpastes and is now added to the UK’s tap water in many areas of the country. But many complementary therapists think that fluoride is toxic. (See the article below) So what’s the answer? We can only suggest you do your research and act accordingly!